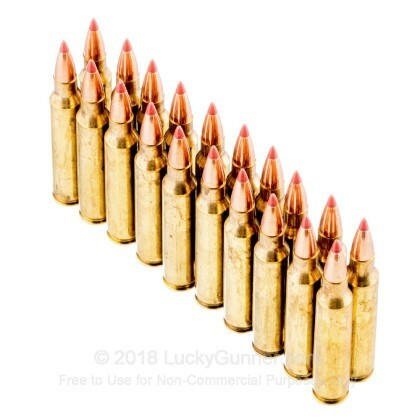 These lightning-fast .223 Remington cartridges are the designed for exterminating pesky scavengers, vermin, and predators. 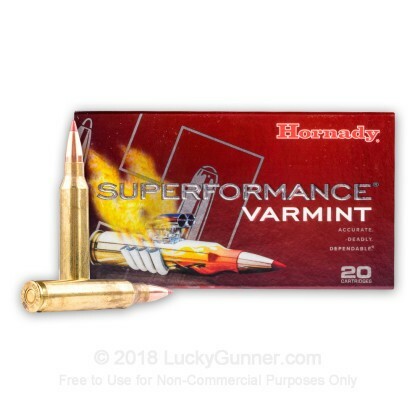 Part of Hornady’s NTX line, these Superformance Varmint cartridges are loaded with 35 grain, polymer-tipped bullets for maximum speed and stopping power. 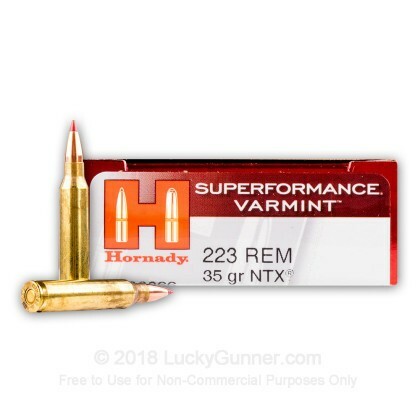 NTX stands for "Non-Toxic eXpanding", and was made by Hornady to meet market demands for lead free varmint hunting ammunition. Usually, there is a trade off between velocity and energy transfer. These cartridges are the exception. 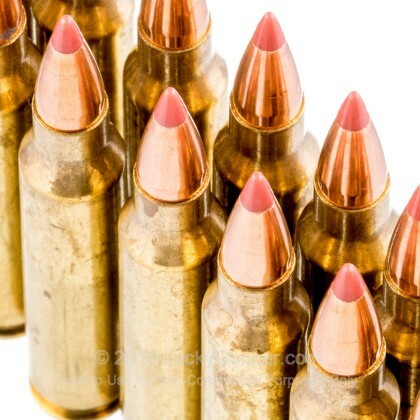 Exiting the barrel at a whopping 4,000 fps, these bullets also boast 1,243 ft. lbs. of muzzle energy. 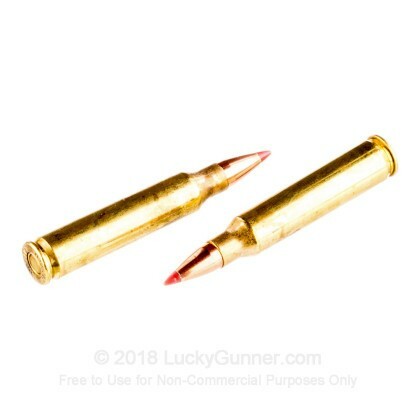 This ammunition is ideal for stopping fast moving targets like coyotes and other similar predators. Manufacturing ammunition since 1949, Hornady is devoted to producing ammunition that meets the highest standards. Focused on quality and consistency, Hornady produces ammunition to meet the demands of every shooter. 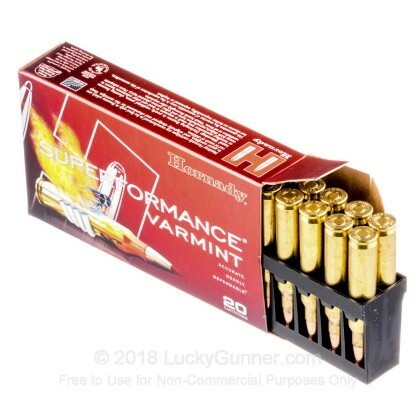 Whether you are plinking, hunting, competing or looking for high grade self-defense rounds, Hornady has you covered.